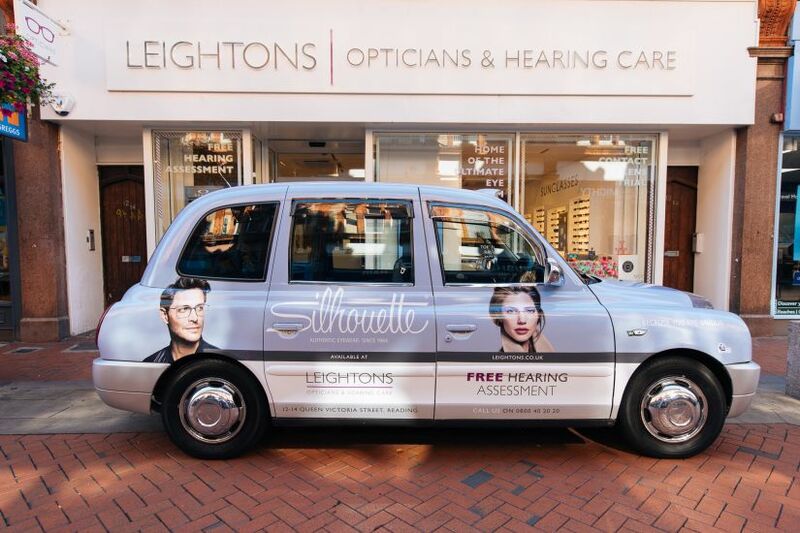 We are excited to announce that the first Leightons branded taxis are out and about in Reading! The taxis, each one strikingly branded with the help of three of our leading suppliers, are now proudly operating around the Reading area. Walter & Herbert, Silhouette and ZEISS lenses all have their individual styles and characteristics represented in the three distinct, eye-catching designs. 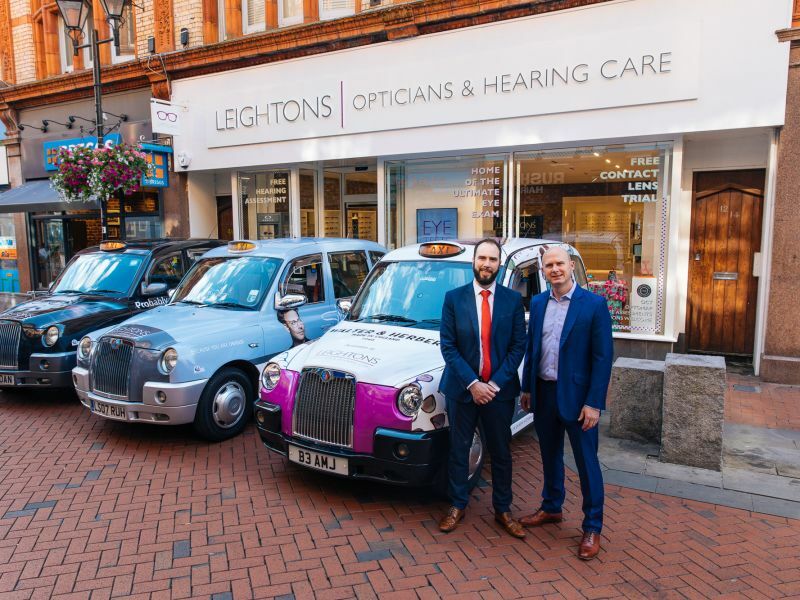 CEO Ryan Leighton and Reading Branch Manager Adam Harden were the first to see the new taxis. Adam commented, “The taxis look fantastic! They are a fun and quirky way to show Reading that we are passionate about delivering the best for our customers. I'm proud to be able to work alongside our partners ZEISS, Silhouette and Walter & Herbert to help the Reading community look great and see well!”. 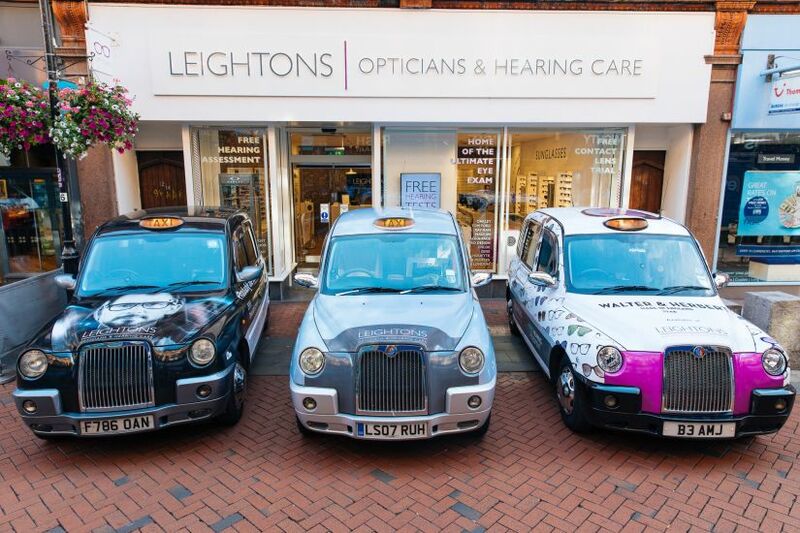 Silhouette, Walter & Herbert and ZEISS are the three brands showcased with Leightons on the taxis. Each of the three perfectly represents the elements of quality and heritage that Leightons values: handmade within Europe, by specialists in the trade, with a family-run touch. Silhouette has a strong presence in our branches and is one of our most popular brands. Offering 50 years of experience in handmade eyewear, their minimalist and contemporary style was an obvious choice for one of our taxis. Handmade and designed in the UK, Walter & Herbert truly epitomise classic British style. 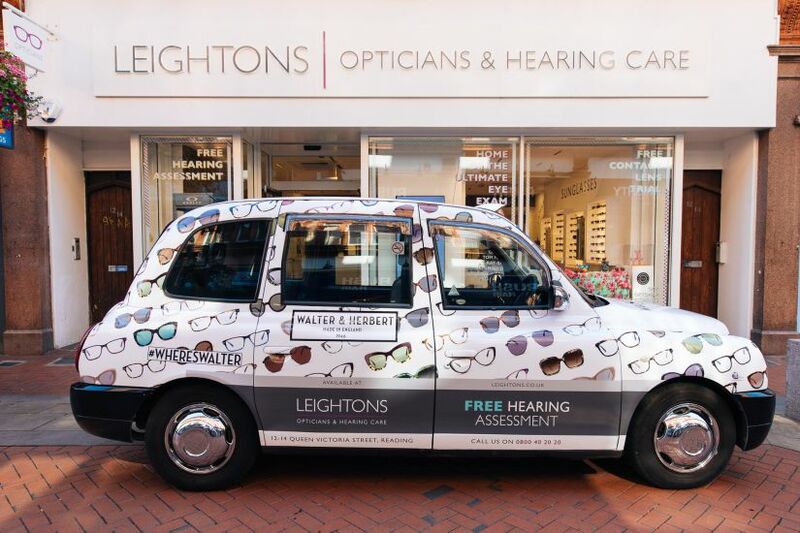 Abundant with tortoiseshell patterns and large, softly-shaped frames, Walter & Herbert brings its 1948 heritage to its modern collections, while their modern design truly brings an element of fun to their Leightons taxi. Zeiss is a world leader in precision optics and our core lens provider for spectacles. Since 1846, ZEISS has been contributing to the technological and medical advancement of optics. 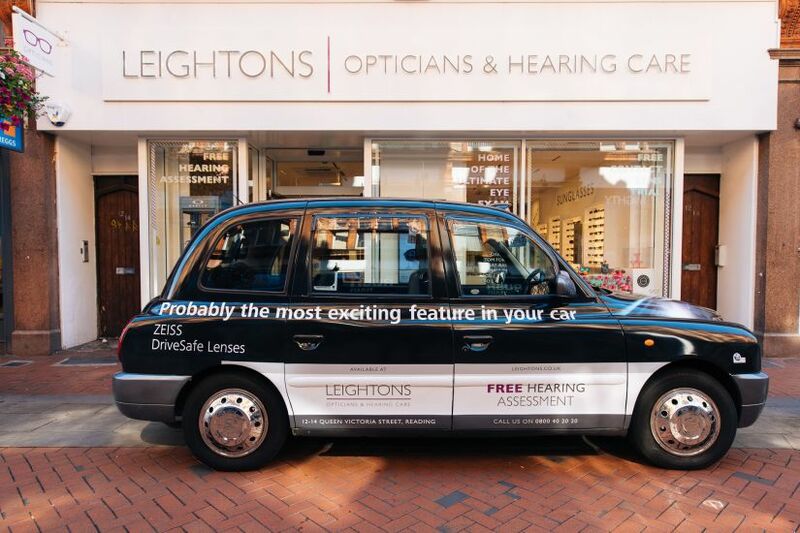 Carl Zeiss commented, ‘it is a pleasure working with an organisation that values partnership from its suppliers.’ Their simple but eye-catching taxi design highlights the incredible performance of ZEISS DriveSafe™ coatings and their market-leading lens technology. You can book an appointment for an eye examination or free hearing test with our Reading branch by either booking online or alternatively give us a call us on 0800 40 20 20.